Heyde’s syndrome describes an association between aortic stenosis and a predisposition to bleeding from intestinal angiodysplasia resulting from acquired von Willebrand disease. 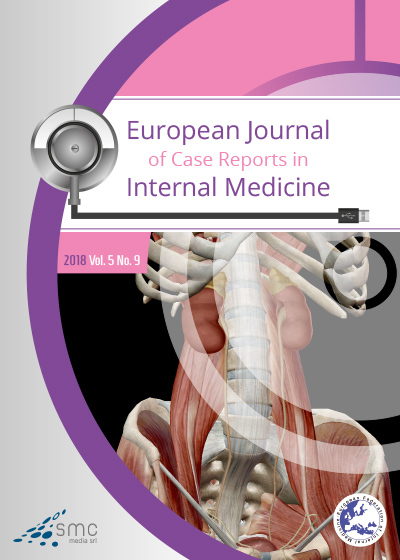 We present the case of an 82-year-old woman with recurrent intestinal bleeding, severe anaemia and secondary myocardial infarction. 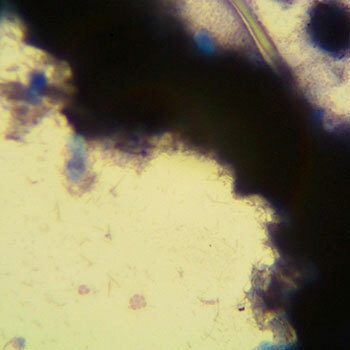 Investigation identified ileal angiectasia as the source of haemorrhage. As echocardiography revealed severe aortic stenosis the patient underwent surgical valve replacement. At her 3-month follow-up, the patient reported no new bleeding episodes and her functional status had improved. 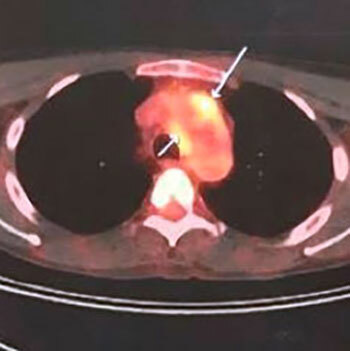 This case highlights Heyde’s syndrome, an entity probably underdiagnosed despite the high prevalence of aortic stenosis and intestinal angiodysplasia in elderly patients. Immunoglobulin G4-related disease (IgG4-RD) is a systemic immune-mediated fibroinflammatory condition characterized by tumefactive lesions that can affect multiple organs. Serum IgG4 levels may be elevated. Early recognition is sometimes difficult but is important to avoid irreversible organ damage. We describe the case of a 28-year-old male patient who presented with a 2-year history of recurrent low-grade fever, night sweats and non-specific manifestations. We eventually diagnosed IgG4-related aortitis by PET-CT scan. 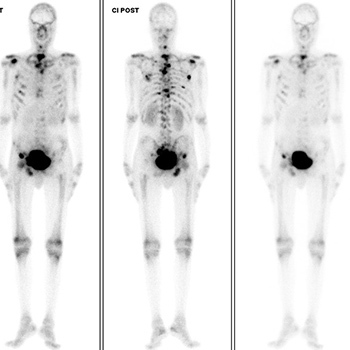 The patient was successfully treated with prednisolone and mycophenolate mofetil with complete clinical and radiological resolution. This case report describes an unusual form of gout, called miliarial gout, in association with carpal tunnel syndrome in a 54-year-old woman. Miliarial gout was first described in 2007 and is a very rare presentation of chronic tophaceous gout. The latter condition can cause carpal tunnel syndrome, but this association has not previously been described in association with miliarial gout. In addition, the authors discuss the use of the parsimony principle in internal medicine whereby a single cause is first sought for different symptoms presenting at the same time. 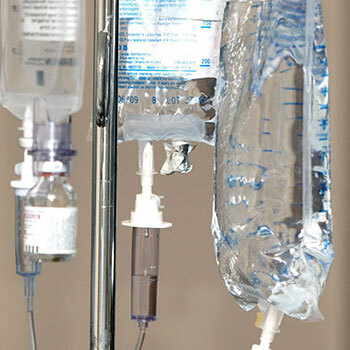 The use of human intravenous immunoglobulins (IVIg) in systemic lupus erythematosus (SLE) currently relies on evidence from small case series and is mainly regarded as an off-label strategy in cases that are refractory to conventional therapies or poorly controlled with high doses of corticosteroids. Standard dosage regimens typically entail the administration of a total amount of 2 g/kg of IVIg divided into five consecutive days in order to minimize the risk of severe adverse events. We herein describe the case of a 28-year-old woman with a known history of antiphospholipid syndrome (APS) who was admitted to our hospital following fulminant onset of SLE in spite of ongoing immunosuppressive therapy. Acute renal insufficiency with nephrotic-range proteinuria, central nervous system involvement, severe thrombocytopenia, malar rash, pancreatic injury and moderate-severe aortic valve steno-insufficiency were the most prominent clinical manifestations, along with high titres of anti-dsDNA antibodies. Pulses of methyl-prednisolone followed by high-dose corticosteroids proved ineffective. Strikingly, IVIg therapy delivered at unconventional doses (1.2 g/kg) due to the presence of multiple risk factors for adverse events resulted in a significant, comprehensive clinical improvement. Although large-scale randomized double-blind studies are needed, the use of IVIg might constitute a valuable therapeutic modality as a last-resort strategy in cases of fulminant SLE. The total dose of immunoglobulins should be dictated by the clinical response as well as the presence of pre-existing risk factors for adverse events. Pulmonary embolism (PE) is the most serious and life-threatening clinical presentation of venous thromboembolism, and difficult to diagnose. 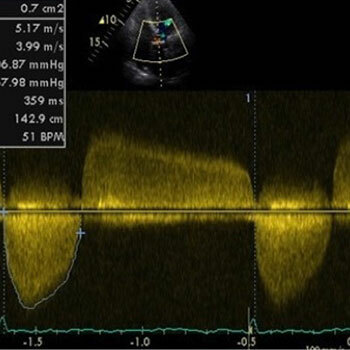 Triple point-of-care-ultrasonography (POCUS) of the lung, heart and leg veins is a multiorgan approach that may help to evaluate patients suspected of having PE, in combination with existing protocols and computed tomographic pulmonary angiography (CTPA). We present the case of a 26-year-old man with sudden onset of dyspnoea and swelling of the leg with a Well’s score of 9. 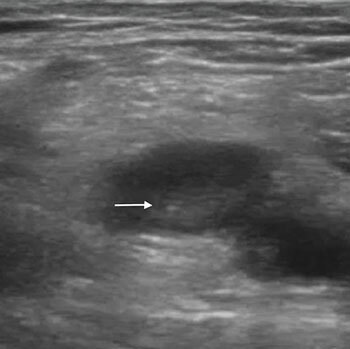 With CTPA unavailable at the time of presentation, triple POCUS showed subpleural consolidations and a venous thrombus in a popliteal vein. A diagnosis of deep vein thrombosis with PE was made and the appropriate treatment was started immediately. Although triple POCUS has less sensitivity and specificity than CTPA, it could be very useful in some clinical settings. Oral anticoagulant therapy is recommended for the prevention and treatment of venous thromboembolism and to prevent stroke in non-valvular atrial fibrillation. Until a few years ago, vitamin K antagonists were the only drugs available, but direct oral anticoagulants have recently been introduced into clinical practice for the same clinical indications. Unlike the situation with VKAs, fixed-dose administration was proposed for DOACs, without the necessity for routine laboratory monitoring. However, in clinical practice a high inter-variability in DOAC plasma levels, independently of the type of drug and patient characteristics, was observed and the importance of measuring DOAC anticoagulant activity to support treatment decisions has therefore been recognized. We describe two clinical cases in order to highlight the role and importance of dabigatran-specific measurements to guide patient management in case of major complications. Background: Glioblastoma multiforme (GBM) is a highly malignant glial tumour classified by the World Health Organization (WHO) as a stage IV astrocytoma. It varies in shape and size and can be cystic, vascular and necrotic. It often appears as a ring-enhancing lesion on magnetic resonance imaging (MRI). The most common symptoms of GBM, such as headache, vomiting and seizures, are due to increased intracranial pressure. The objective of this case report is to describe an atypical presentation of GBM. Case Report: A 53-year-old woman of Italian origin presented with a 2-week history of lack of coordination in her hands and some difficulty in speech. Electromyography for assessment of her arms and cranial bulbar function was normal. However, 2 days later, the patient presented to the emergency department with progressive weakness in her left arm and leg as well as difficulty in speech. Mild left facial asymmetry was noted. A brain MRI revealed a right frontal mass. Stereotactic surgical resection was performed 2 days later, and biopsy confirmed the diagnosis of GBM. 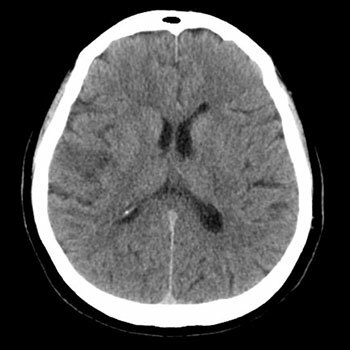 Although headache and other features of raised intracranial pressure are the most common initial symptoms of GBM, any atypical neurological or psychiatric presentation in an adult patient should raise suspicion for this tumour. Conclusion: Careful analysis of an adult with atypical signs and symptoms along with thorough review of radiological tests will facilitate early diagnosis of dangerous tumours such as GBM. Acute anaemia is characterized by a reduction in the number of red blood cells, haemoglobin levels or haematocrit. By far the most common aetiology is haemorrhage, but in its absence other less frequent causes should be considered. The authors present the case of a 42-year-old man with a diagnosis of glucose-6-phosphate deficiency and progressing gastric signet ring cell carcinoma, who was admitted to the internal medicine department for symptomatic back pain control. 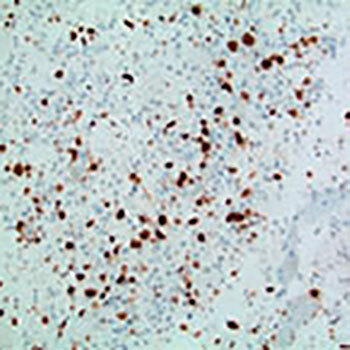 During his hospitalization, the patient developed acute anaemia with schistocytes on peripheral blood smear with no concurrent hyperbilirubinaemia or decreased haptoglobin. Bone metastatic disease was documented. The case was revised with the transfusion medicine department and malignancy-associated microangiopathic haemolytic anaemia (Ma-MAHA) was suggested. The patient was transferred to the oncology department and later discharged, dying at home shortly afterwards.